Sleep well at Hotel KOCKS in the heart of the Ruhr region and discover every part of its 53 cities. All located within short distances and good traffic connections. 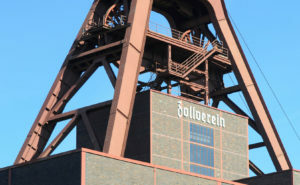 Visit industrial monuments along the Route of Industrial Heritage. Explore the region by bike on the Ruhrtalradweg. 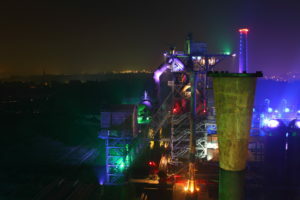 Experience and visit the former industrial region with its variety of cultural and adventurous offers. 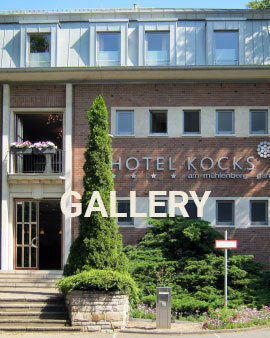 The hotel KOCKS is located above the river Ruhr, directly along the Ruhrtalradweg and across from the castle Broich and the city hall. 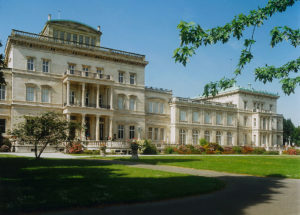 Within walking distance you will find the old town of Mülheim and numerous restaurants located along the river Ruhr. 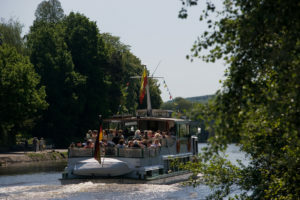 Take a walk along the river Ruhr, a boat ride with "the white fleet" to Essen Kettwig, a bike tour along the river Ruhr to Essen or along the river Rhine to Duisburg, a restful stop along the Ruhrtalradweg or along the discovery-route of industrial heritage. 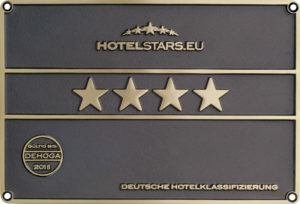 In the evening, you can choose from enjoying a comedy show, a concert or attending the piano festival in the city hall, enjoying a performance in the close-by Ringlokschuppen, concerts and festivals at the castle, going to one of the sporting events or experiencing the diverse gastronomy locations around the hotel. 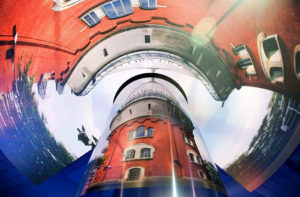 In between all of that feel free to visit the Camera Obscura, the Museum Alte Post or the Aquarius Water Museum. 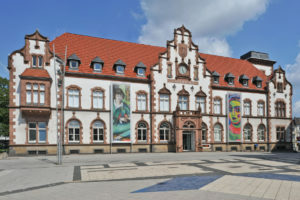 Take a shopping trip to the Centro Oberhausen, go to a concert in the Köpi-Arena, visit an exhibition in the Gasometer Oberhausen or the "Zeche Zollverein Essen", listen to beautiful classical music at the Philharmonie Essen, pay a visit to a musical in Bottrop or Oberhausen or stroll around the city of Düsseldorf.